Life's Journey To Perfection: General Conference is over, NOW What??? 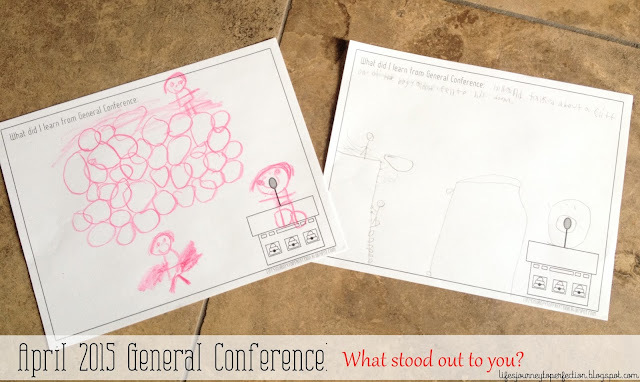 General Conference is over, NOW What??? This past weekend, we were uplifted and edified as the General Authorities and leaders of The Church of Jesus Christ of Latter-day Saints addressed us during General Conference. As we listened with intent ears we were touched by the spirit and may have received person revelation and felt as though what was said was directed towards us personally. Now that conference is over and we are back to our everyday lives, how can we apply and remember what has been said??? Re-Read and Listen to the General Conference Talks! We don't always get everything the first time around. Sometimes it takes a second or third time or maybe even more to get what is intended for us. Sometimes while I am getting ready, cleaning the house or working on the computer I will re-listen to the conference talks. Another great idea is to print a talk out and STUDY it. This way you can pray about it, read and study it and take notes right on the paper. If you've taken notes during Conference, REVIEW THEM! The must be some reason why you wrote down the things you wrote down. Go through your notes and ponder what you wrote. Family Home Evening on Oct. 2014 General Conference Talk by Elder Ballard "Stay in the Boat and Hold on!" "Ponderize": Don't you love this word that Elder Durrant introduced us to!! We can "ponderize" a scripture each day as he suggested, there are already social media groups that have began to do this very thing. I love how he spoke about scriptures being shared in a text message with family and friends. We are so blessed to live in a time that we have such a powerful influence in other peoples lives and they can have a powerful influence in our lives. Let's make these powerful influences be good powerful influences. Let's share our testimonies, scriptures, spiritual uplifting messages with those around us. I personally am going to do just what he suggested! I'm going to write down a scripture to "ponderize" for the week. I'm going to post it on my blog and share little insights I have gained from that scripture throughout the week on my social media pages. I hope that this article has inspired you to take action!! We have been blessed with amazing instruction and uplifting council. Let's not let it dissipate, lets make it a part of our lives and be better people because of it. 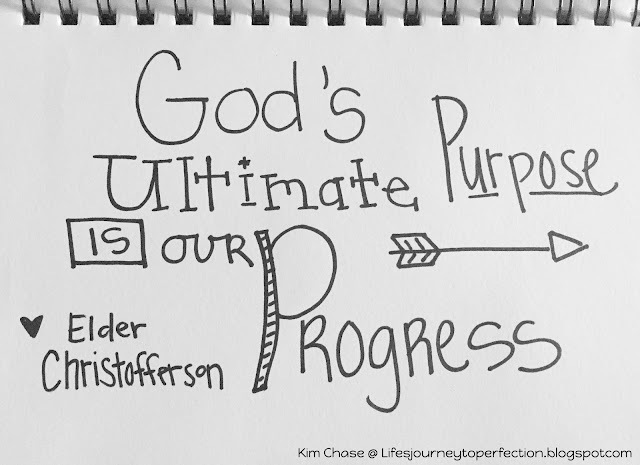 Follow me on Pinterest, Facebook, Instagram and Google +, so you can see even more fun things I share as well as my insights on my scriptures I'll be "ponderizing"!!! If you enjoyed this and would like to be informed when more ideas are shared, then please fill in you email address below and subscribe! When something new is shared on the blog you will receive it right in your email box :) THANKS! !